Though The Bicycle Story is four years old, 2014 was a bit of a rebirth for the site. For the past couple of years, the project took a serious backseat to my day job, other obligations, life in general. This year, with the flexibility of full-time freelance journalism, The Bicycle Story was once again a high priority. We published new interviews nearly every week, readership grew, and fascinating bike people shared their valuable perspectives on adventuring in far off places; the growth of American cyclocross; women and Afghani tribal politics; long distance randonneuring; race and poverty’s intersection with urban biking, and so much more. It was a good year. It’s not surprising that more than half of the year’s most popular interviews feature bike adventurers. 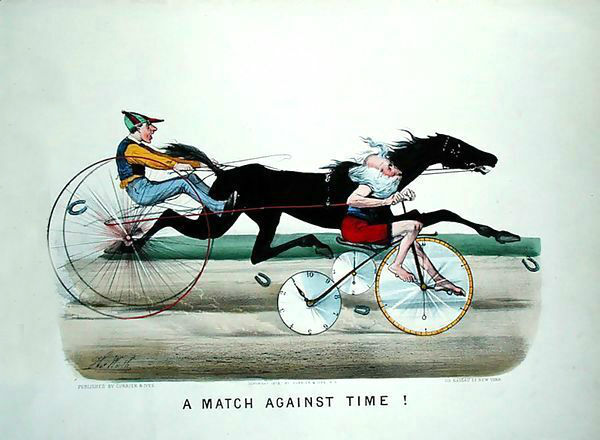 Austin Horse parlayed the popularity of bike messengering into opportunities to travel the world and ride. Nicholas Carman scrimps and saves for half the year, then spends six months touring around the world. Pro surfer Dan Malloy rode the coast of California surfing along the way. Mike Curiak’s wilderness adventures are both impressive and a little terrifying. It’s inspiring to read about other peoples’ adventures. I know I’ll never do a 1200km ride like Mary Gersemalina or follow Curiak’s tire tracks across Alaska’s Lost Coast, but reading their stories gets the gears turning about what’s possible on two wheels. It’s exciting that several of the other most popular interviews are about bike advocacy. Biking-as-transportation in the U.S. has a lot of momentum right now. Cities are recognizing the need for better infrastructure. More people than ever are getting around by bike. But, there are still huge gaps in our infrastructure networks, far too many people are dying on the road, and there’s real inequity between those neighborhoods that support bicycling and those that don’t. It’s helpful to tap into the insight of advocates such as Ed Ewing and former Seattle Mayor Mike McGinn to think about the problems we’ve solved and the fights yet to come. From the outset, The Bicycle Story’s mission was to capture the incredible breadth of the bike world. There are so many people involved in bicycling for so many different reasons. And while I’m proud of the project’s work in service of that mission thus far, I recognize that there’s a ton of room for improvement. It’s telling that eight of the 10 most read interviews of 2014 are with white men. I will work harder in the coming year to elevate a broader range of voices. Thanks so much for reading. You, the readers, make The Bicycle Story possible and I thank you for your support. Looking ahead, I’ve got a few plans in the works to help reflect The Bicycle Story’s growth and evolution. Keep your eyes peeled for details soon. In the meantime, keep coming back weekly for great interviews with the best adventurers, advocates, racers, industry insiders, and frame builders the bike world has to offer. Happy New Year. See you in 2015! 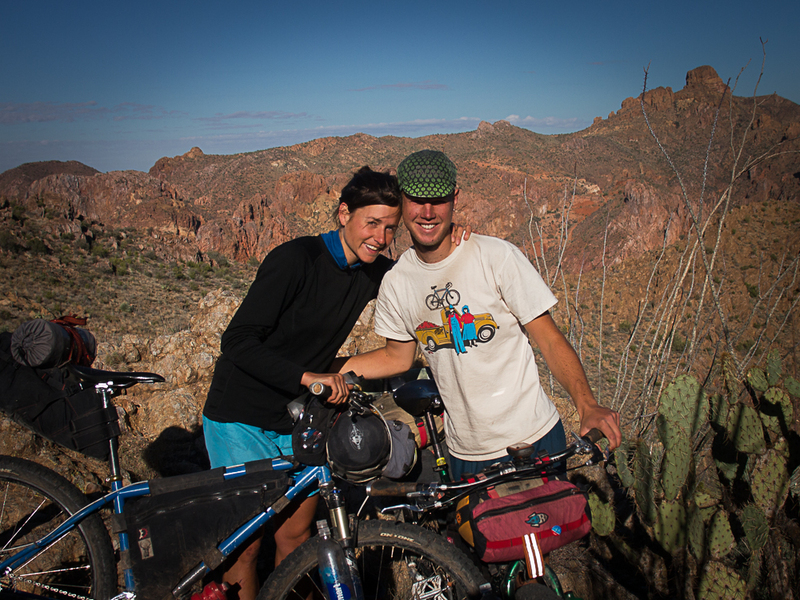 Lael Wilcox and Nicholas Carman on the Arizona Trail in 2013. Photo by Nicholas Carman. The chorus to the JJ Cale song “Homeless Man” goes, “I’m not a homeless man/I’m a gypsy by trade/And I’m traveling this land/I’m not a homeless man.” It is the source from which Nicholas Carman’s blog Gypsy by Trade draws its name–an appropriate umbrella for the journals and photographs of a man who spends about half of each year exploring the world by bike. Nicholas and his partner Lael Wilcox have toured on and off road through Europe, Canada, across the United States, on routes like the Great Divide and Kokopelli, and plenty more. They’ve structured their lives around travel, spending winters working and summers on the road. Nicholas answered my questions by email from Anchorage, Alaska where he’s currently working seven days a week at a bike shop, saving up for the next adventure. In this interview, he discusses his foray into extended bike touring, his favorite trips around the world, how he and Lael make their travel work, his evolution of thought about bike touring gear, and much more.